Thank you for your interest in volunteering! There are opportunities that meet a variety of interests and skills. Responsibilities include chapter website, social media, press releases, event photos, and more! This committee works to promote diversity through membership, programming, and scholarships. This committee works to provide updates on government relations issues that affect fundraising and philanthropy. This committee works to acquire, steward, maintain, and grow the chapter's membership. 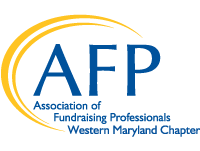 This committee develops and coordinates the chapter's engaging and educational programs throughout the year including morning programs, discovery groups, and the AFP Talks series. This committee is responsible for the annual celebration of philanthropy in November including sponsorships and logistics. For more information on the work of each committee, please visit to learn more and contact committee leadership.